What is coquito? Coquito is a traditional punch served at Christmas and New Years celebrations. Its the Latin eggnog if I may. 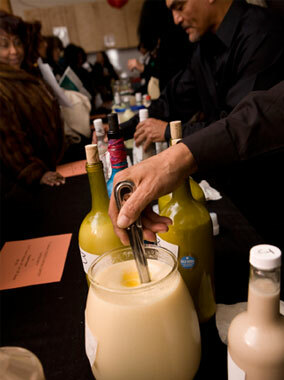 El Museo Del Barrio is holding their 9th Annual Coquito Tasting Contest! Wepa! I am going to try out at a tasting to qualitfy to compete at this event. If I make the cut I will let you guys know first! I am keeping my fingers crossed as I hope for the best. I make a really great tasting coquito and maybe its up to the test of the fine judges who will be naming a winner! One of the judges will be Daisy Martinez! If you are interested in attending this event click here for registration details. Hurry, I am sure tickets will run out fast. If you want to compete in this event click here to view Coquito Qualifier Series dates and venues (Please note that the Staten Island Qualifier has been cancelled).